Read my interview on Legends On Deck. Read articles that I've written on Baseball Ink, BaseballGuru.com, and UpperDeckReport.com. Fine, it's not me. I never played minor league baseball. 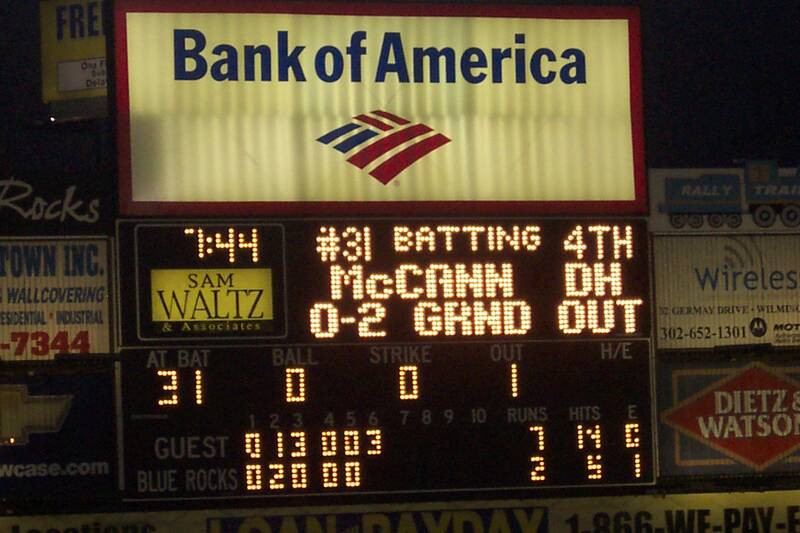 It's Wilmington Blue Rocks DH Brad McCann (no relation). All images on this site are property of its owner and cannot be used without permission.